Stained and painted glass has filled the the windows of our parish churches and great cathedrals for over a thousand years. There are so many beautiful stained glass windows in Hampshire churches that on our history foraging expeditions we make sure to capture as many images of them as possible. These wonderful masterpieces of colour and light have brought solace, beauty and inspiration to generations of congregations. Amongst all the wonderful glass in Bramley church, this small window captures the eye. From the Medieval to the modern, each church is an art gallery waiting to be admired. Where else would you be able to sit and admire such artwork day in day out? Stained glass has more than religious significance. Like all artwork, it provides an illuminating record of the people and society of the time. So much early glass has been lost, it is difficult to piece together the earliest glass in the county but that is for another post. The purpose of this blog post is simply to share some of our lovely finds. If you have never visited Brockenhurst church, its windows are so unusual and exquisite there are two in this selection. 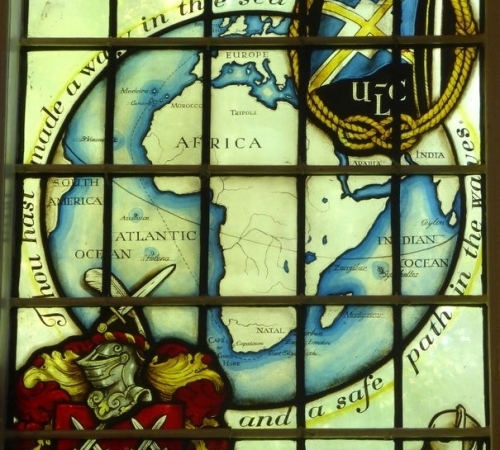 Not entirely sure when I am looking at a piece of painted glass as opposed to glass that was coloured during the production process, nor the age of the glass (unless the church guide book tells me) but it’s beautiful to look at and therefore worth sharing. Anyhow the whole point is to share out some more lovely images of Hampshire history and we hope you enjoy.